Posted On April 22, 2015 by Team iCynosure. Every IPL season Pepsi arrives with some of the best campaigns to engage their fans and this year they invited fans to #CrashThePepsiIPL in a very unique way. 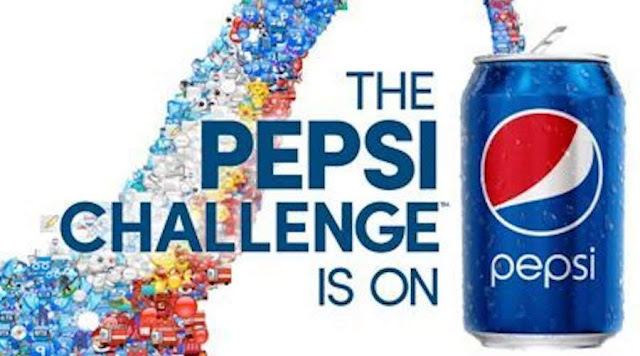 Fans were invited to make a 30 second Pepsi commercial that if made the cut would be aired during the Pepsi IPL 2015. Interesting isn't it? And guess what Blogadda invited bloggers to check the #CrashThePepsiIPL videos and dish out our take on them. But there is always a catch… The commercial needed to be unique, fun, quirky yet something that could be viewed on national television. And your efforts will be judged on originality and creativity and will be judged by some heavyweights too. However if you do have cold feet, fear not! There are some awesome people to help you with your commercial with their expert insights… So take their help and roll away to entertain us. Week on week new commercials made by people like you and I are added to the existing list and the competition sure is heating up. With some crazy one, some super cute and some downright silly ones too. With some time on my hands last weekend, I did go crazy watching advert after advert. And the array of expressions on my face every 30 seconds, my husband finally decided to join in, into the fun. As we sat watching the commercials, we had our own HITLISTS. One always tends to go with the shortlisted entries or finalists, but I decided to stay away from those. Scrolling through numerous entries I found a couple that I really liked. First up is the super cute commercial Pepsi Buddies about three friends by Muni Agarwal. What I loved about this commercial is the amazing production value, the fantastic screenplay and the three characters. What begins as a fun day-out, gives you a moment of shrill when the boys wink at each other and finally ends in exactly what the brand Pepsi is all about… fun! All the three actors are perfect for the advert cute, stylish and fun-loving. Next up is the hilarious commercial Boom Man by Gaurav Nayyar which mocks a superstar; with an interesting story line this advert deserves a place in the shortlisted entries for sure. Maybe in the coming week, it may move into the next phase of the competition. The end is definitely the clincher, super awesome super fantastic. The actors have done a fabulous job and played their parts to the ‘T’. I was hoping against all odds that I didn’t counter the first night commercial in this initiative but I was so so so very wrong. Just like the geniuses I mentioned in my previous post, Honey Let’s Watch The Commercials First we have a super genius here too. Anshul Agrawal found some fault in the suhagraat aka first night and solved the problem with some Pepsi.